For those seeking even more land for their own private estate, Vineyard Ranch boasts spacious 5 to 14 acre homesites in a secluded location across from the community’s main entrance. Only 5 of these premium estate homesites are available — the last of their kind and size in the Vintage Oaks community.  Ideal for horses and privacy, Vineyard Ranch offers a quiet setting for your custom home, while still providing access to all of the community amenities within Vintage Oaks. Access to community clubhouse, swimming pools, lazy river, walking trails, tennis courts, athletic fields & more! Call 830-214-1978 or fill out the form to start your home search today!